I love it when engineers, from the real world outside of Montebello, send me historic drawings. Not only did he send me some really nice ones, he gave me a link to thousands of others. I’m glad someone else in the Water Department, besides me, is saving our history. Here is one that threw me off at first glance. I know where the drain tunnel is off of Lake Montebello, but looking close at this drawing and at a recent photo I had taken of the drain where it enters Herring Run, something just didn’t look right. Here is the photo from my inspection down there. 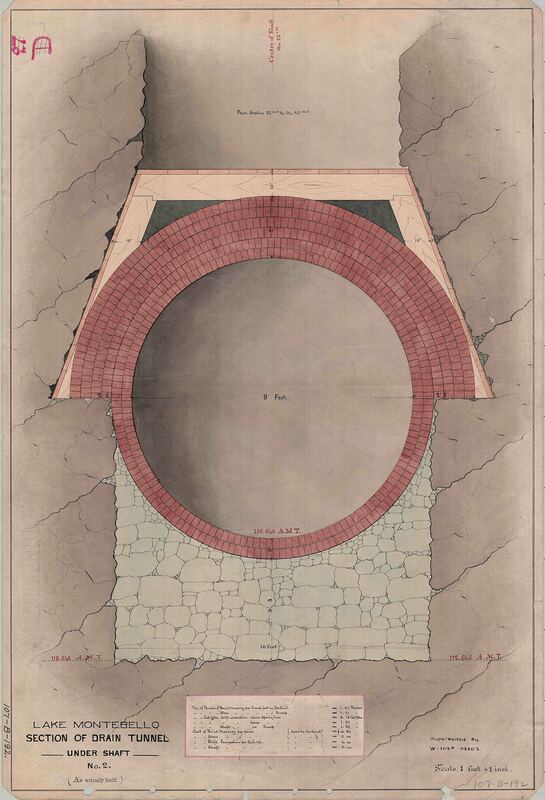 Looks about right, but, the drawing says it is of the West Portal? West? 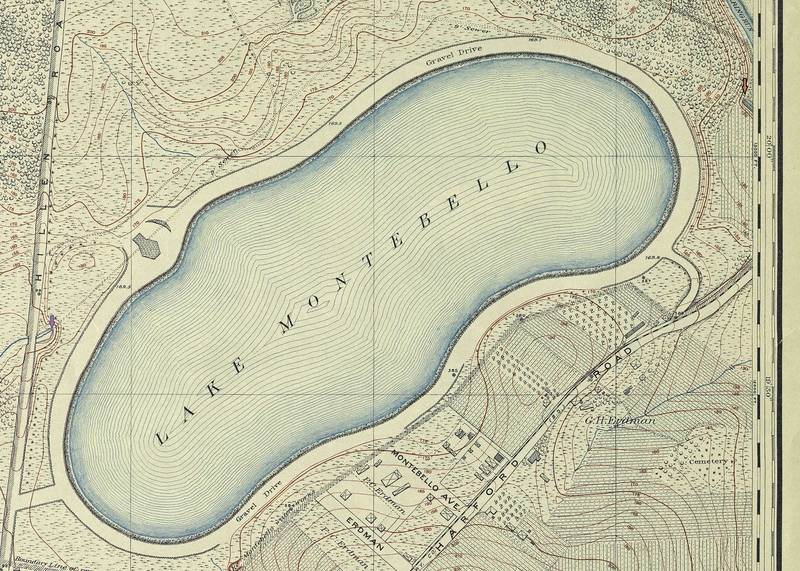 This is east of the lake as shown in the 1894 topography below. To the right of this kidney bean shaped lake is a small arrow pointing to the drain. Then looking close to the left, near Hillen Road is another portal. This is west. Also, the top elevation of 146′ matches the drawing. The east portal top elevation is about 120′. I wish I had photos of when this structure existed. It is all built over now. 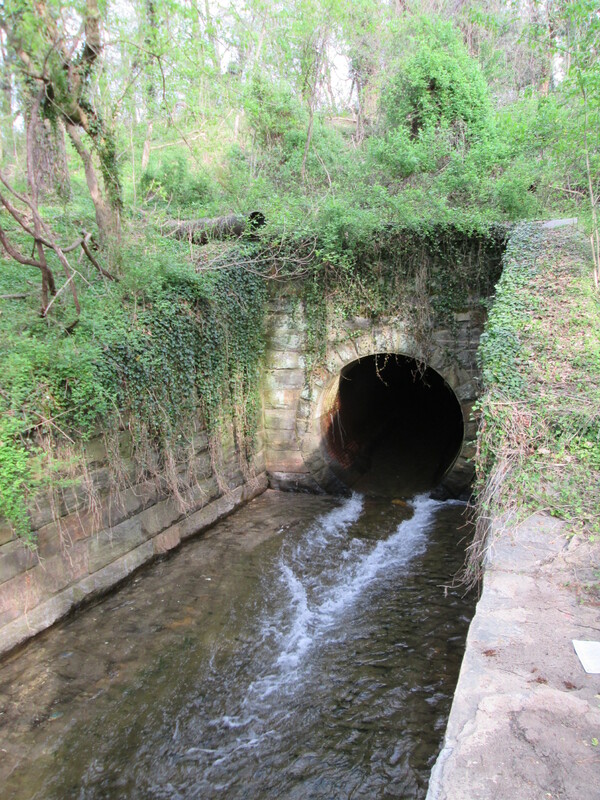 Under Hillen Road is a large storm drain – 9-12′ that goes into the gate house (Structure with unknown quarter moon shaped object next to it). 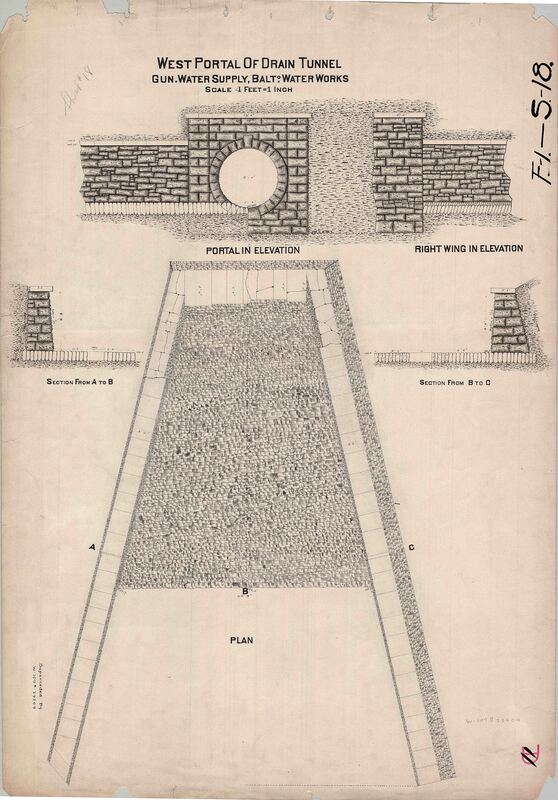 Here is another drawing, unknown location because all the shafts were filled in. (Unknown, even though it gives the station as 22+50. Without the overall view, I’m not sure where the engineer started his stations? 2,250 feet from where? It shows how they built these tunnels, by hand, through solid rock. Bottom legend shows cost and materials. Thanks Engineering!